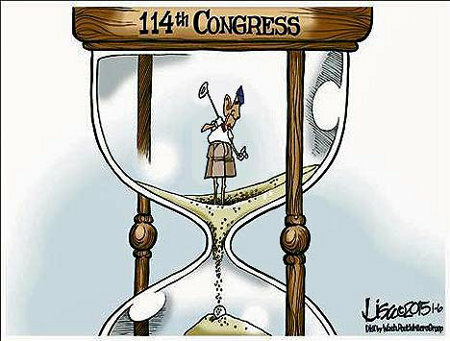 With both sides of the 114th Congress under Republican control, Obama definitely faces a certain hazard. Then, with the entirety of the boy’s tenure as POTUS being – kindly, to the point of being a hand-out – best described as a “mulligan,” this shouldn’t come as much of a surprise. As all Americans know, Obama’s one of primary duties while in office has been to fundraise for various Democrat politicians. This means that he’s been doing a lot of gala dinners. Ok, Ok! I’m just kidding. That is a heaping helping of Indonesian flame-roasted rat. It just wasn’t, insofar as I know, served at any of Obama’s attempts at fund-raising for his fellow-travelers. 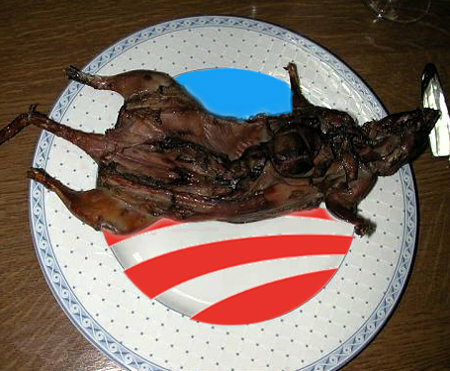 I’m betting though that the many Dems who got trounced in the 2014 elections due to Obama feel like they choked down some rat. 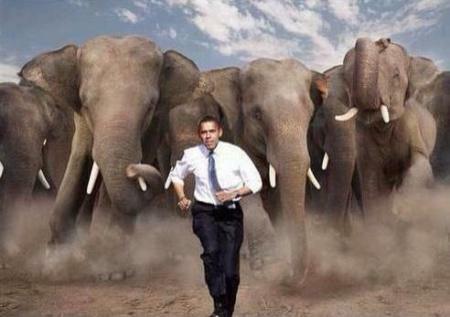 It’s politically acceptable to describe Obama as a Lame Duck POTUS since he cannot stand for reelection. 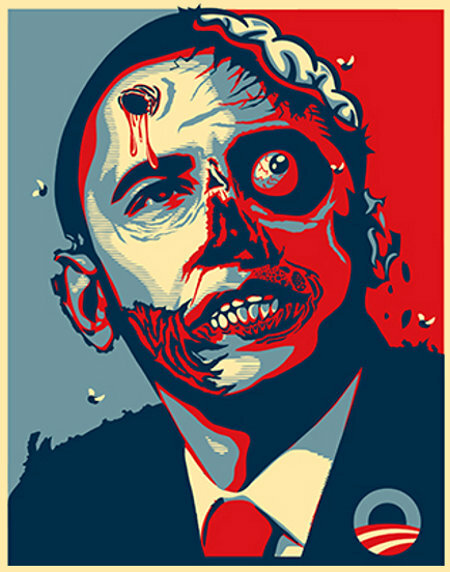 A better, much more honest, and, hence, unacceptable thing to do would be call Obama a Zombie POTUS. Not only can the boy not be reelected, his policies – indeed, his rhetoric and everything he a portrayed himself as doing – are a large part of the reason that the Democrats lost and lost big in both the 2010 and 2014 midterm elections, even though many Dems did their best to turn on the boy and distance themselves from him. This is, of course, not to say that Obama doesn’t still pose a clear and present danger to America and Americans. Even feculent shufflers like him can and will do what harm they can. The boy does after all have absolutely nothing to lose and has enough lame duck Senators to cause problems. Well done, My Fellow Americans! We have expanded America’s control of the House, taken the Senate from our domestic enemies, and now hold 31 Governorships across the several States. Yes! 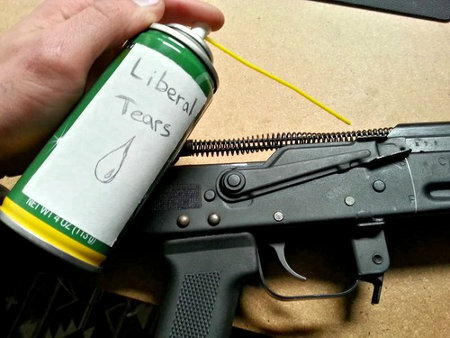 Liberals are crying and that’s a great and good thing because Liberals’ tears are Freedom’s lubricant. Every anguished or angry tear shed from the eyes of Liberal, Progressive, or their minority tenants slicks the gears of liberty and make the engine of America run more smoothly and more powerfully.